The multipactor discharge happens when a bunch of free electrons come into resonance with the electric field and grows exponentially due to the interaction with the walls of the device, producing an avalanche of electrons followed by the corresponding breakdown. 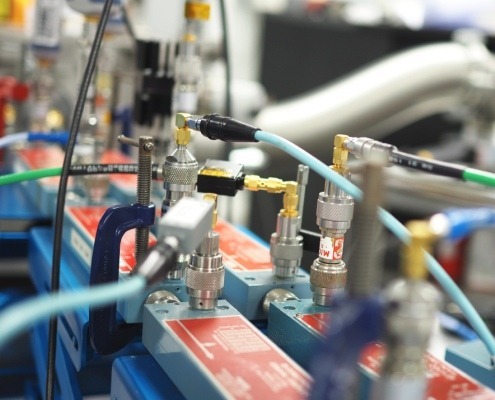 We have high-vacuum facilities and cutting-edge radiofrequency equipment to carry out multipactor tests for both flight models and R&D prototypes. Thanks to our wide range of amplifiers we cover frequencies from UHF to Q band. In addition, we have developed a large number of multipactor detection methods (both local and global), which we use to achieve the best levels of sensitivity detection and diagnostic in the multipactor discharge. The corona effect is generated by the ionization of gas particles inside the devices. It could happen both at ambient pressure and under partial vacuum, but in the latter case very low electric field voltages are needed to ignite the breakdown. Our 7 thermal vacuum chambers can perform corona tests. This effect typically appears during the launch of the satellite, at altitudes around 60-80 km (partial vacuum conditions), when the satellite’s telemetry and control systems operate in an area in which the ionization electric field is minimum. It can also occur during re-entry phases of the spaceships or even caused by internal outgassing. We are able to reproduce different pressure and temperature profiles to evaluate the corona effect in space communications components, also simulating different types of atmosphere (Mars, Jupiter …). The passive intermodulation is a very low intensity interference effect produced on any surface that is made up of two different metals. However, its intensity is so low that only in exceptional cases such space communications are affected by it. For example, satellite antennas operating at the same time in transmission and reception but at different frequencies can generate PIM. Due to imperfections in the antenna or in components close to it, which share the same radiofrequency path, the signal transmitted to the Earth can generate undesired tones, called intermodulation products, which, although they are of very low intensity, interfere with the reception of the signal, being able to “deaf” the satellite. 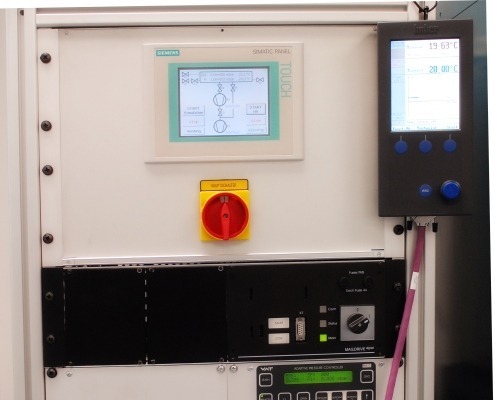 We have test benches dedicated to passive intermodulation in frequency bands L, S, C, X and K, in addition to the test benches that we can build on demand to measure in other frequency bands. 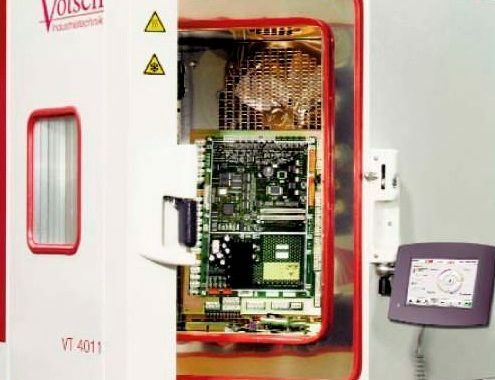 These tests determine the thermal operating conditions of the devices when, in addition to the environmental conditions, a high power radiofrequency signal is applied. Under high vacuum conditions, a powerful heat dissipation mechanism such as convection is not available. 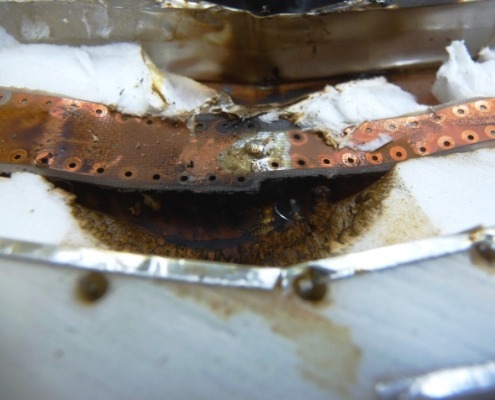 In these conditions emulating the space environment, an accumulation of energy is focused in certain point of the device damaging welds, joints or dielectric materials. During these tests the input, output and reflected power, power arcs, the temperature of the component at different points, pressure, etc. are monitored. We can carry out these tests in single-carrier or multi-carrier configuration with flexibility to choose the frequency and maximum power. 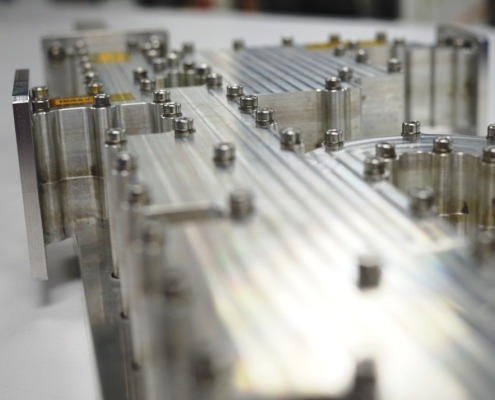 Our vacuum systems are able to implement different profiles over the time, both in pressure and temperature, to reproduce regular cyclical conditions in space. During the thermal vacuum tests it is possible to carry out real-time measurements on the device under test through different interfaces (vacuum-air) available in our laboratory. 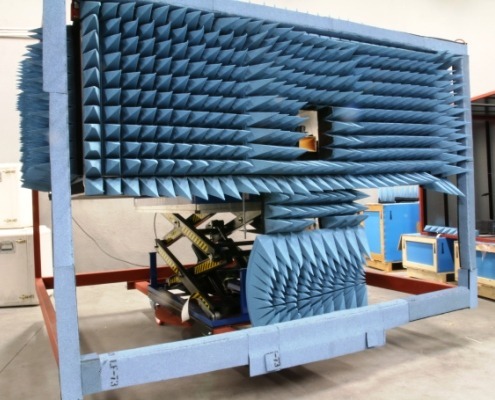 This kind of tests are very useful to verify the alignment of optical systems, mechanisms of apertures of antennas or solar panels as well as the radiofrequency operation of the microwave devices. 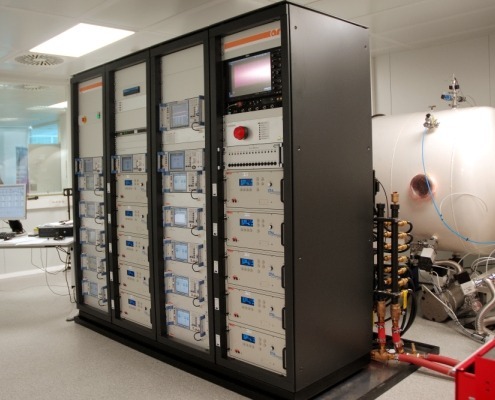 For those devices that need to be tested at ambient pressure, but using state-of-the-art radiofrequency equipment, we have a climatic chamber in which we can perform thermal tests in controlled humidity and temperature conditions. There are many devices that operate at ambient pressure over which the durability and reliability must be verified. In our facilities it is possible to conduct life testing measurements using our radiofrequency equipment. 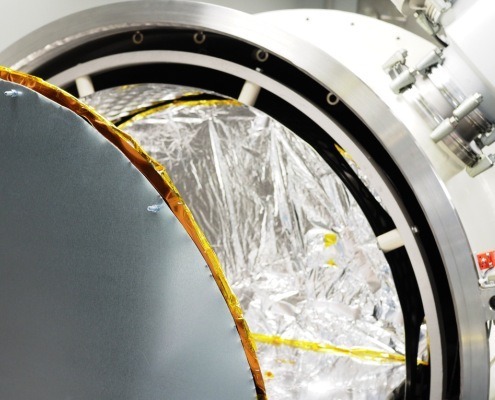 The RF transparent thermal system gives us more flexibility to test satellite antennas in high vacuum. 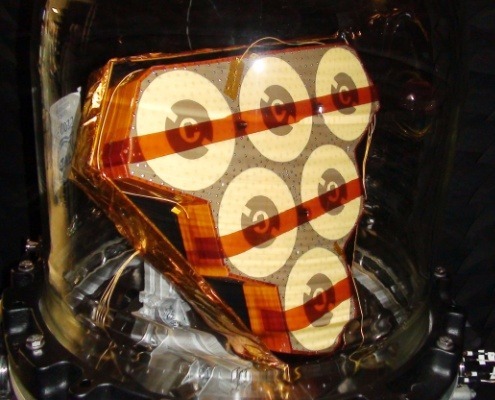 Through the use of a radio-transparent system, the device is under high vacuum conditions but radiating in far field. 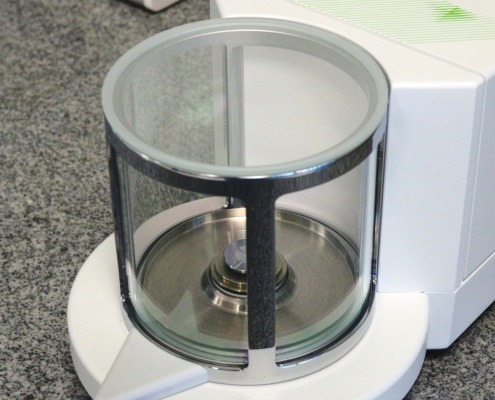 Avoiding the use of absorbing materials (test caps) inside the vacuum chamber allow us higher molecular cleaning levels, better heat thermal transfer and an excellent heat dissipation and adaptation conditions. If requested, all our tests can be executed in your facilities including, if necessary, the shipment of a vacuum chamber. 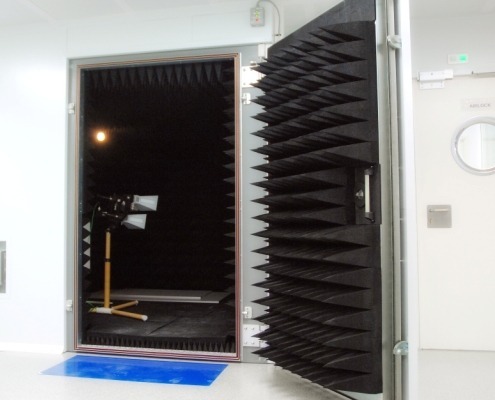 The most common is to perform passive intermodulation measurements in anechoic chambers used for qualification and satellite testing. S parameters and reflectometry measurements up to 4 ports and 110 GHz, using fixed or portable network analyzers. High performance spectrum analyzers with digital demodulation capabilities of the most common standards. Generation of digital signals with very low phase noise and high bandwidth up to 67 GHz. Characterization of low and high power amplifiers. Nowadays, almost all the laboratory equipment has libraries available to be controlled by LabView © software, which has become one of the references in industry. 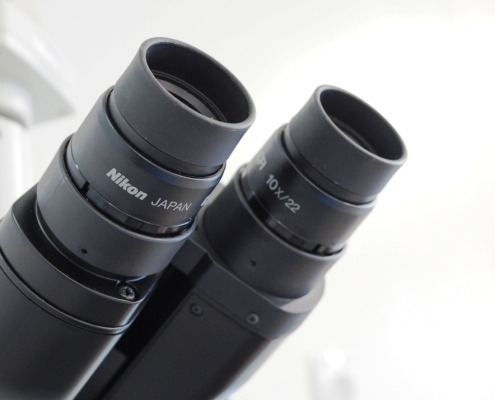 We have wide expertise in the development of applications for our own laboratories. Our continuous training in this platform, up to the architect level in LabView ©, allows us to perform custom-made and scalable control software in short time. 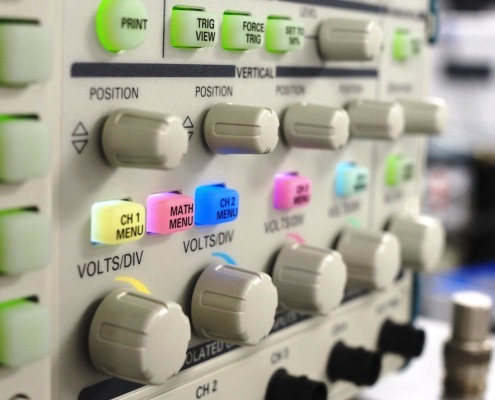 Upon request, we can develop customized instrumentation control applications for processes involving several laboratory equipment such as signal generators, spectrum analyzers, oscilloscopes, or any other laboratory equipment that you want to control and automate. We have wide experience in the design of passive microwave circuits and components (filters, diplexers and multiplexers, distribution networks, etc.) used in high frequency communications systems with special emphasis on high power radio frequency space applications. 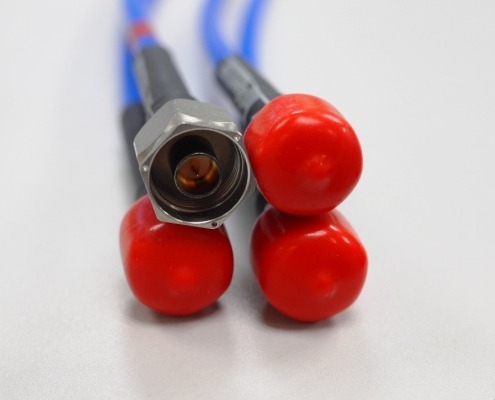 These devices can be designed and manufactured in any existing technology: waveguides, coaxial, metal cavities with arbitrary 3D geometries and dielectric resonators, SIW, etc. We cover all phases of the process, from the analysis, synthesis and optimization of the components to their prototyping, manufacturing and experimental validation. 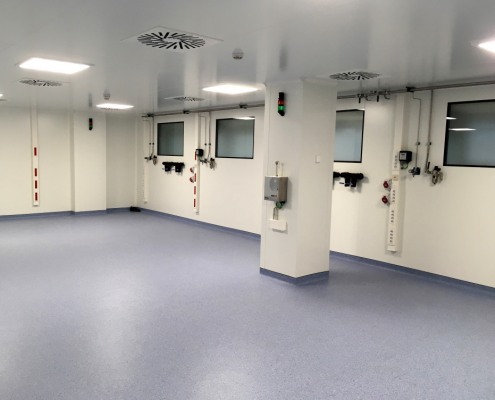 We have three ISO 7 clean rooms (50, 85 and 150 sqm respectively) and an ISO 8 clean room (85 sqm), where the temperature, the humidity and the amount of dirty particles is controlled following the ISO 14644 standard. On a yearly basis, our clean rooms are certified by an external accredited entity. These four certified clean rooms are available for your activities that require an ISO7 or an ISO8 levels of cleanliness. The Secondary Electron Emission Yield (SEY) is a phenomenon that happens when primary electrons impact with energy enough against the surface of a material, inducing the emission of secondary electrons. The SEY of a material is defined as the ratio between the number of released secondary electrons and the number of incident primary electrons. The SEY has direct impact on the multipactor effect. Facilities are available to measure the SEY in both metallic and dielectric materials, at sample level or at component level. Additionally, experimental capabilities are available to measure the SEY as a function of temperature, from -100ºC to 500ºC, and with different incident angles. Satellites in orbit are exposed to drastic changes in temperature depending on whether they are hidden by the Earth or with direct vision to the Sun. Some materials are susceptible to release gases at high temperatures. This must be evaluated before their integration into the satellite because those released products could condensate in other parts of the satellite as solar mirrors, optical control systems, etc., and jeopardise the nominal operation. 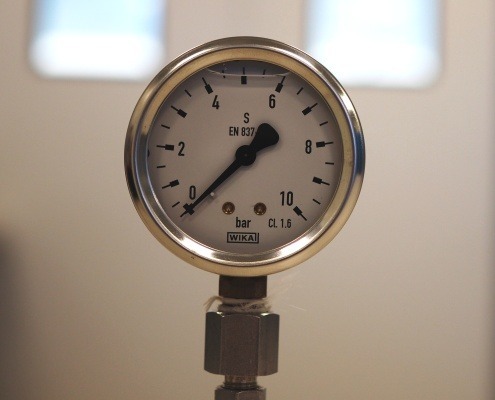 Following the ECSS standards (European Cooperation for Space Standardization), we are able to evaluate the outgassing rate of materials as a function of temperature and pressure. Space communication components are manufactured at ambient pressure, integrated into the satellites and then put into orbit. During the launch, the pressure begins to drop inside the satellite until reaching the space vacuum level several hours or days later. The vacuum is not achieved instantly. The remaining gases, which have been ionized after the launch, take a while to completely leave the satellite. 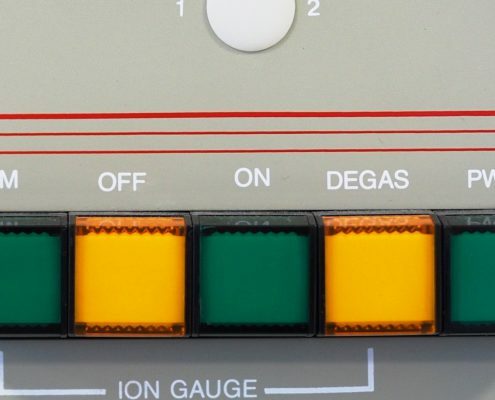 Using venting techniques, we can experimentally calculate the time that a component takes to evacuate all the gas inside. This parameter is very important because it is directly related to the corona effect. 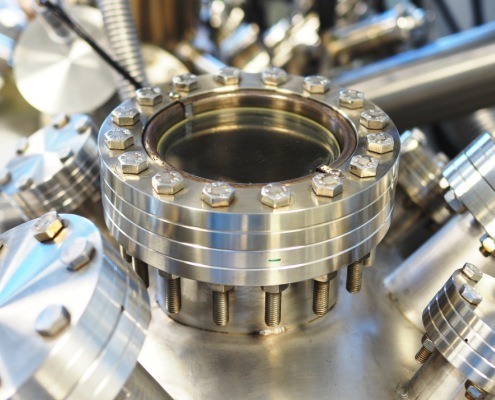 Molecular bake-out cleaning is a process executed under high vacuum conditions in satellite components with the aim of performing a molecular cleaning of their surface. Using high vacuum chambers and powerful thermal systems we can reach temperatures of up to 120ºC only by radiation. Acting as control elements, we use pressure valves, thermocouples, a TQCM microbalance, a QCM microbalance and a residual gas analyzer. We are also able to provide molecular contamination analysis (MOC). Molecular cleaning is carried out following the ECSS Q-ST-70-01C standard of the European Space Agency and the space industry. Mass spectrometry is an analysis technique that allows determining the molecular distribution of a substance based on its mass. We have several mass spectrometers to accurately analyze the composition of different chemical elements, separating the atomic nucleus according to their relation between mass and charge (m/z). We can identify the different chemical elements that form a compound, or to determine the isotopic content of different elements in the same compound. The information obtained is very useful because of its direct relation to the multipactor, corona and outgassing effects. The surfaces through which the radiofrequency signals are transmitted must be treated with electrically conductive metals. Morphological parameters, contaminating specimens and, in general, surface properties, can modify the radiofrequency response, for example, boosting the multipactor effect after modifying the secondary electron emission yield (SEY). We have a facility for the deposition of materials by electron beam. This system is frequently used to coat metals in the internal walls of devices in order to investigate the effect of the secondary emission of electrons and the improvement of performance. 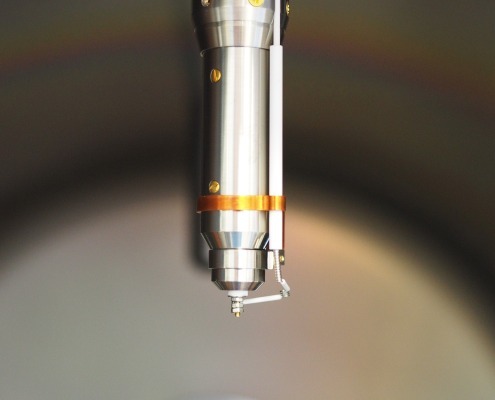 X-ray and UV photoelectron spectroscopy are two non-destructive techniques that allow the analysis of the elemental and chemical composition of materials. We provide a multi-analytical system that provides XPS and/or UPS analysis of material samples, in which if neeeded, it is possible to perform an initial cleaning by Argon bombardment.